Plumbing can get tricky when you can’t figure out what the issue it, it’s a tell-tale sign that excavation may be required. Hiring a trusted and experienced plumber to evaluate the problem is the best place to start. Once your plumber figures out what the issue is, it may require excavation to get to the root of the problem. You don’t need to call an excavation company, A1 Choice Pluming & Drain does it all from start to finish. 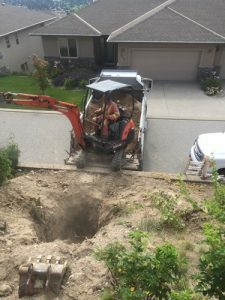 Having the equipment available and professionally trained on hand to do the excavation and the plumbing fix will save you time and money. There is no magic formula in telling you when a drain needs to be replaced or repaired and how complex the solution is until your plumber investigates the problem. The material that is used is important and can corrode as the pipe ages. With climate changes the soil freezes and can damage the line or when the soil shift it shifts the placement of the pipe. 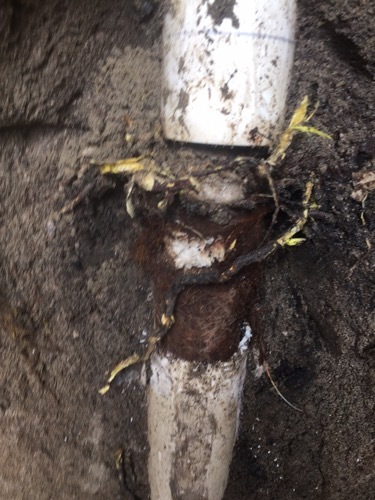 If you have large trees in your backyard the roots can invade the line and damage the drain and block the line. Learn more about why root intrusions happen and how we can fix them. Your lines can get blocked with items build up of food, grease, oils, toys and more. There are preventative measures that your household can practice to prevent blockages. Here are some signs to look for to tell if your drain needs professional attention. Best to call a professional plumber to have the problem examined. Plumbers don’t like to excavate unless the job requires it. 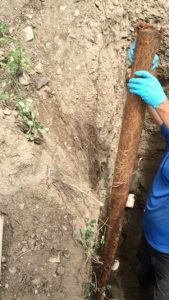 The excavation process is involved as the ground needs to be dug up properly to reveal the pipe that is causing the problem. It’s highly recommended that you hire a plumber that knows what they are doing and has experience in excavation so that no matter what the fix is, it’s done correctly and safely the first time. Safe digging is important when excavating so do your research. If the pipe can’t be repaired because it’s broken then excavation might be the solution. It’s hard to tell without a plumber spending the time to find the source of the problem and diagnose the issue. 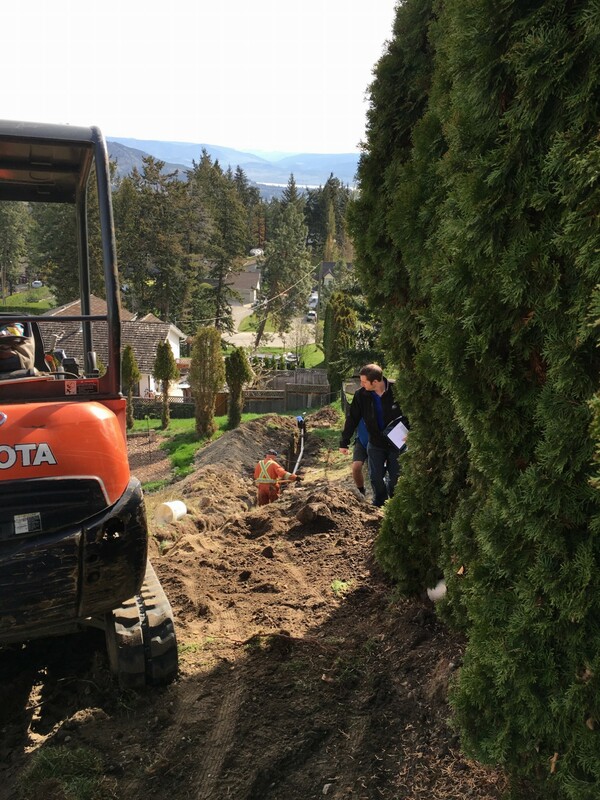 A1 Choice Plumbing Inc. has a long and trusted history in plumbing services throughout the Okanagan. Nominated many times by our peers and customers we take pride in the our staff’s knowledge, expertise and customer service.